His Beatitude Sviatoslav, the Father and Head of the Ukrainian Greek Catholic Church, is convinced that today there is a new opportunity for the dialogue of the UGCC with the Orthodox Church of Ukraine. He also considers it possible to unite with the Orthodox Church of Ukraine. This was stated by the Head of the UGCC on January 17 during the presentation of his book Dialogue Heals Wounds. "We are not talking about the unification of the Churches in a single structure, as happened at the Unity Council of Ukrainian Orthodoxy. We are talking about unity in the name of common good, heritage, a single European, independent, united state," said His Beatitude Sviatoslav. The Head of the UGCC noted that for this purpose it is necessary to develop a road map together and outline concrete steps. "I think that it is in Ukraine that there is an interesting perspective for ecumenical dialogue in the context of new possibilities. Today, between Catholic and Orthodox Churches there is intensive dialogue in the form of a Mixed Orthodox-Catholic Theological Commission. Our Church is already a member of it," said the Bishop, expressing the hope that the Orthodox Church of Ukraine will also join this dialogue, which was initiated by the Ecumenical Patriarch from the Orthodox side. "Together, we have the opportunity to show to the Christian world that an ecumenical dialogue between the UGCC and the OCU is possible. Because today it is absent in Ukraine. Only personal meetings, communication in different formats are conducted. Therefore, to start it is a challenge and, perhaps, the first step in our road map" underlined the Primate. In turn, Metropolitan Epifaniy, who was a participant of the presentation, called for deepening of cooperation with the UGCC. "We are starting the first steps of our mutual work, although by that time we also had a cooperation. In the future, we will also continue our dialogue; we, Christians, must work together to do good. 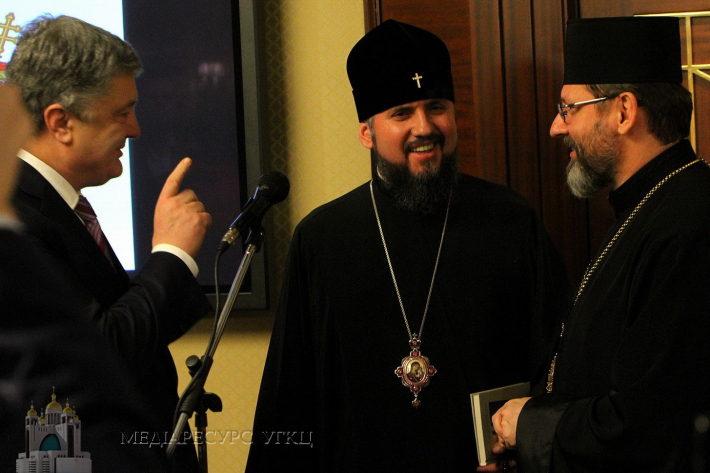 We want to start a fruitful cooperation between the Orthodox and the Ukrainian Greek Catholic Church that existed before, but we want to deepen it, in order to work together in the future," said the Primate of the OCU. 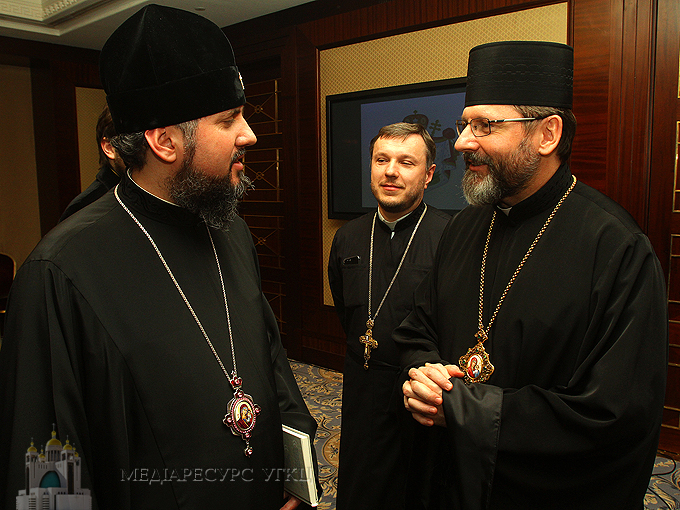 He invited the Head of the UGCC to his enthronement, which will be held on February 3.